Last weekend in The Observer magazine Jay Rayner wrote a review of some restaurant in London that was doing nothing else but roast chicken and still managing to get it wrong. It reminded me of a restaurant we went to in Madrid years ago that did nothing but roast chicken and cider. Of course this was no good for the vegetarian amongst us but she was reassured that they did great chips and she would be able to fill herself on those. However something got lost in the translation and the chips arrived in a plastic packet and there was an embarrassed silence for a couple of minutes whilst we digested the fact that some of us were going to eat a half chicken on a plate and one of us was going to eat a packet of crisps. Sometimes I think I am still getting over that evening. In the same article Jay Rayner let out that his favourite way of roasting a chicken was to spatchcock it, smear it in garlic and lemon juice, throw on some fennel seeds and olive oil, and put it in a hot oven for an hour. What he didn’t warn against was smearing the garlic in with your hands after having spent an hour in the garden wielding a pair of secateurs against all the ivy so that I was left with a couple of burst blisters. 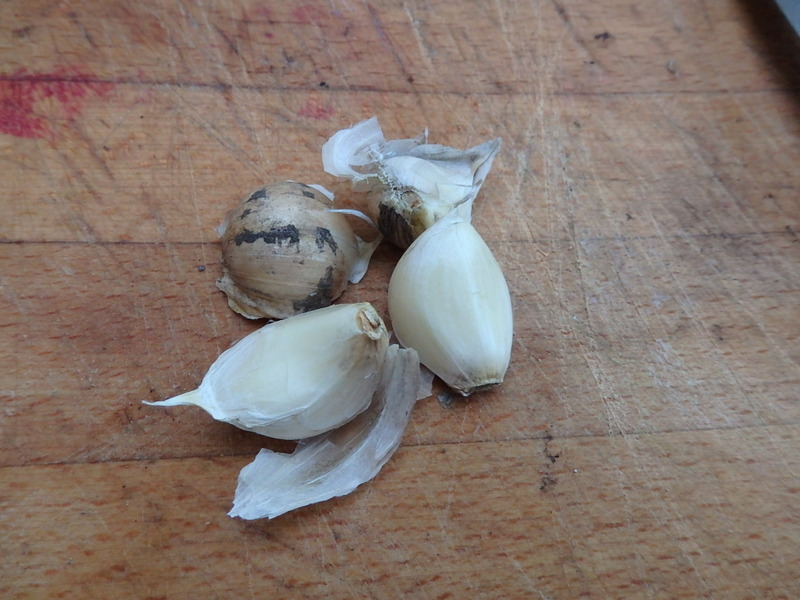 The garlic got in under the blisters and it has been a while since I have felt such focussed and intense pain. We had the chicken this evening and he was right. Two of us were there ready to tear it apart with our fingers. We ate it with rice cooked on the basis of the the half recommendation from Kazim yesterday. Soak good rice for an hour. Drain. Boil water. Add rice to water and cook for about four minutes. Drain rice. Melt butter in bottom of pan. Split a pitta and place over the melted butter. Tip rice back in the pan slowly. Put on very low heat with a tea-towel under the lid. After about half an hour the bread will be crisp and the rice perfect. All good cooking should be capable of being distilled down to a few words. Listening to Sleater Kinney. There was a time when the two best best bands in the world were a three piece and a four piece – all women. Sleater Kinney were the three piece.